So I finally decided to create another Chrome theme after Richard requested I create a theme for him based on an image he found online. Guess who it was? 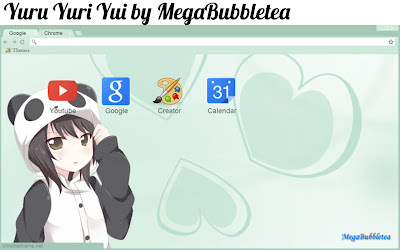 Yui from the slice of life comedy anime Yuru Yuri! 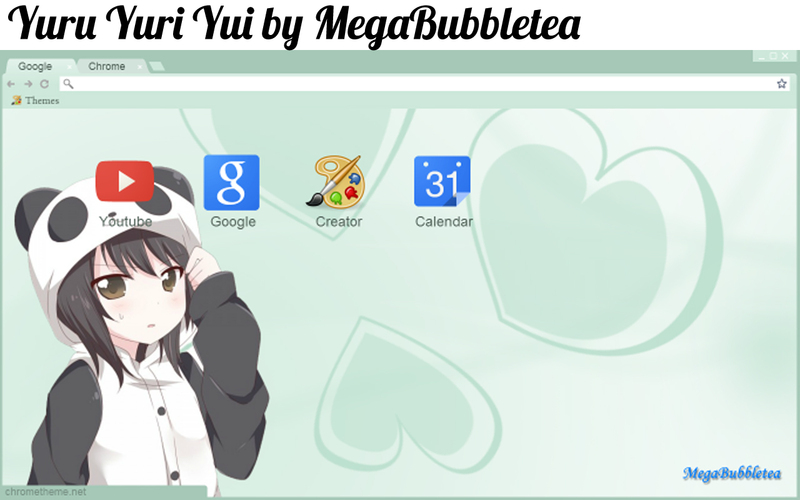 Well, I think I may have gotten back into Chrome theme creation. So...I'm taking requests now. Just send me a message on Google+ or in the comments section of the 'Themes' page. Notes: Track 2 of the Zetsuen no Tempest OST. 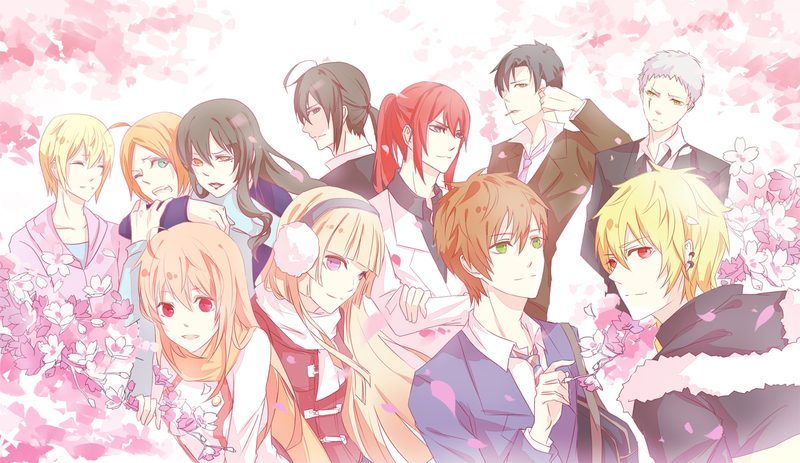 The Zetsuen OST is one of the most beautifully composed music I have encountered. I rank this OST within my top 10, with my list including the K OST, Ao no Exorcist OST, Code Geass OST and Guilty Crown OST. The orchestral arrangement brings a sweet yet mysterious taste. The new console will be released during the holidays. The upcoming system will be an attempt to make a clean break from the PS3, though, many detail about the console remain unknown. The console is said to be "Developer friendly". The PS4 will boast 8GB of unified GDDR5 RAM - a major jump forward from the combined 512MB in the PS3. The memory increase should give developers more latitude in like graphics and physics. The PS4 will give gamers social tools that let them share and connect with their friends. The controller features a Share button that lets players post gameplay videos onto social networks. Players will also be able to live broadcast through UStream. Unfortunately the PS4 won't play PS3 games, but it's due to major differences between the core architectures of both consoles. The same can be said for PSN titles. If you own a smartphone or tablet, these can be used as secondary screens via a Playstation app, whether for game augmentation or to purchase titles and download to your system at home. In general, downloading digital content will be easier thanks to the ability to download in the background, play a game before it's fully downloaded, and download games while the system is powered off. As connection-focused as the PS4 is, it will not require an internet connection, though many of its standout features won't be available to offline players. This week's issue of Famitsu magazine is revealing on Thursday Hatsune Miku Project mirai 2, the tentatively titled rhythm game for the Nintendo 3DS system. The game allows players to use either the touchscreen or standard buttons to complete all songs. Its roster includes Hatsune Miku herself in her usual outfits and her Sakura Miku costume (designed by PutiDevil), Megurine Luka, and more. 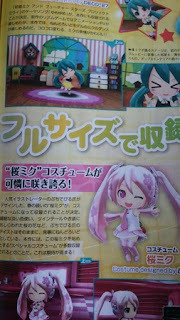 The game's track list features the full, unedited versions of many songs, including Deco*27's "Yume-Yume" (Hatsune Miku and Future Stars: Project Mirai theme song), One Cup-P's "Koneko no Paya Paya" (complete with costume also created by One Cup-P), and 40m-P's "Do Re Mi Fa Rondo" (also with unique costume). The Ubuntu button in 13.04 has received a last minute change: the background swirl now spins in a clockwise direction. We don’t need to go too far back in history to answer the latter question, just to yesterday when a bug report was filed by Matthieu James, Ubuntu’s icon maker. In the issue he cites a mail forwarded to him by Mark Shuttleworth in which a user argues that the button background swirl should spin clockwise, as there are cultural and historical dispositions favouring this procession. Whether it makes sense to us today is moot; the fact is that the vast majority of us are socialised to believe that clockwise = moving forward and moving forward = good. It sits within in us at a subconscious level, handed down to us from ancient times when the movement of the sun in the sky ( ‘east’ to ‘west’) was revered as important, life-giving and divine. Whether it is a swirly icon or just a plain one, it really doesn't matter what kind of design Ubuntu adopts for it's button as long as it works and doesn't hinder the overall aesthetic presentation of the graphical user interface.